Practice makes perfect. And, if last year&apos;s Lehigh Valley Airshow was any indicator, 2014&apos;s should be as close to perfect as possible. The Lehigh Valley International Airport listened to visitors and their suggestions from last year&apos;s wildly popular #LVAirshow, making some key changes that should result in an even better family friendly event. There will be 25 different food vendors at this year’s show. With a wide variety of options ranging from Aw Shucks Corn, Red Robin, Take a Taco and more! This number is more than triple the amount of stands for the 2013 show. Cash and credit will be accepted at all locations. Additional entrances will allow guests to more efficiently enter and exit the airshow grounds. There will be 3 entrances off of Race Street, for a total of 5 entrances into the airshow. Those with reserved or ADA parking should enter Fashion Drive. Those parking in general parking areas can access lots both East and West of Fashion Drive, from Catasauqua or from Airport Road. A map is available on Lehighvalleyairshow.com. ALL PARKING WILL BE ON SITE. The spectator area has been shifted to include area on both sides of the static display area, allowing for better viewing vantages and additional space. Reserved seating is available at show center for a cost of $10. This price gives you access throughout the day to come and go, as well as having a seat to sit and enjoy the show. For those not wishing to purchase reserved seating, outside chairs will be permitted. With additional food options and improved parking, the Lehigh Valley Airshow will be not only easier to get into, but also more fun and filled with great eats. Airshow gates will open at 9 a.m., with performances from 12-4 PM. Ticket prices are as follows: Advanced Adult: $15, Advanced Child: $9, Gate Adult: $18 and Gate Child: $12. Children under 4 are free. 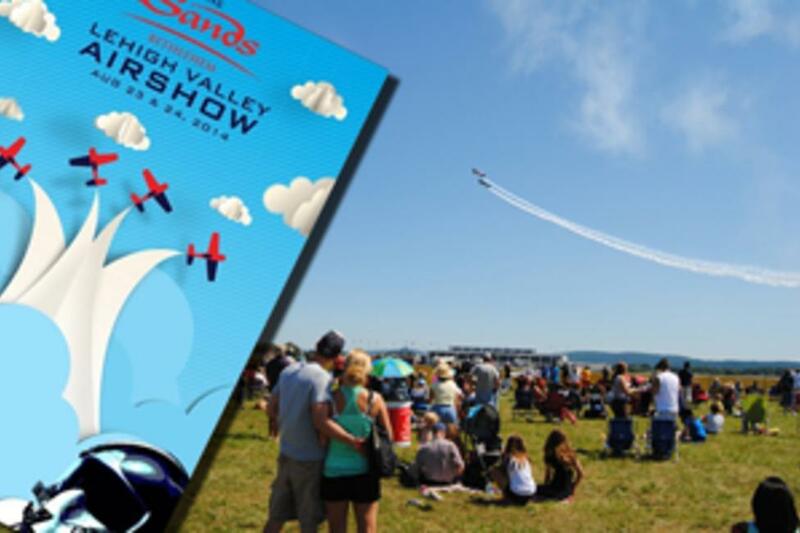 Advance tickets will be available at Sands & Co., Wegmans, TopStar Express, Lehigh Valley International Airport Monday-Friday 8 a.m. - 4 p.m., Days Hotel, Hilton Garden Inn, Homewood Suites, Staybridge Suites, Courtyard Marriot, Residence Inn and www.lehighvalleyairshow.com. The airshow entrances will be located on Race Street, just off Airport Road. Parking is permitted only in designated areas and will be offered free to airshow guests. 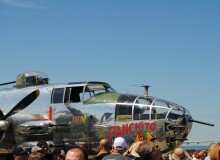 For more info visit: www.lehighvalleyairshow.com or www.facebook.com/flylvia.